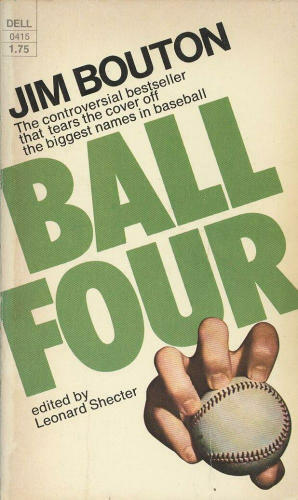 1970: Ball Four is published. 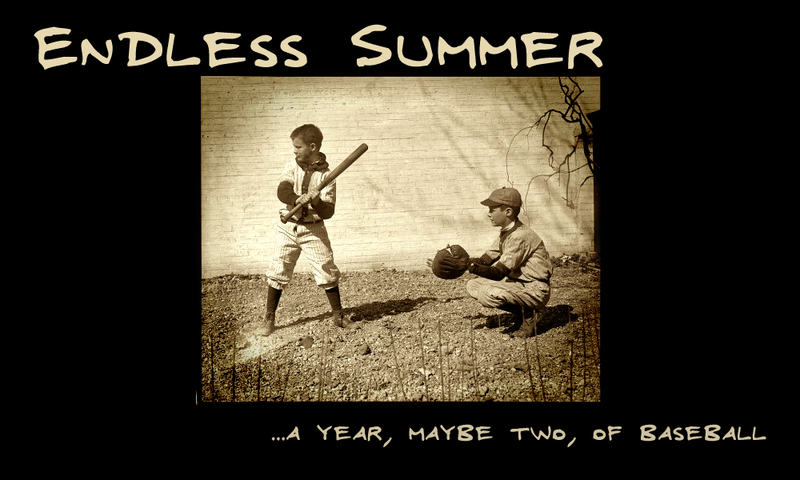 Baseball hates it, but everybody else loves it. time maybe for a little of That Baseball Rag? That’s Arthur Collins on the vocals. 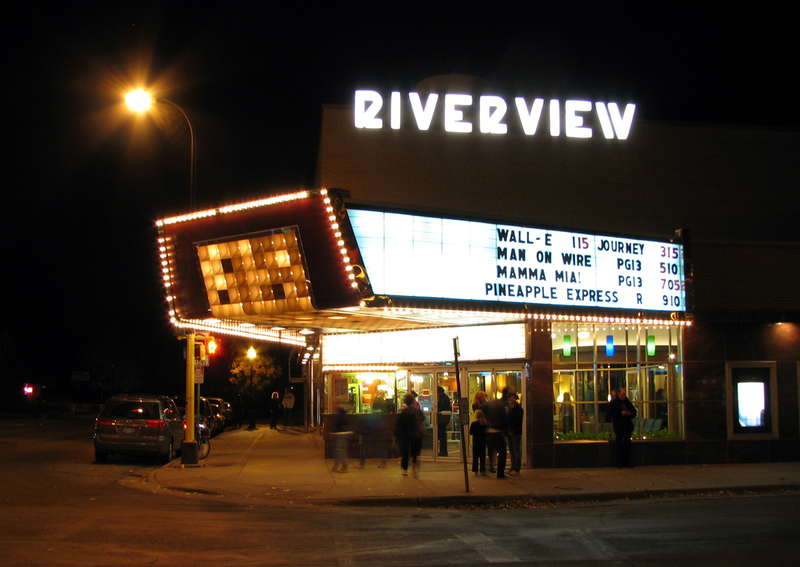 42 is showing this weekend, and the following week, (and last week) at the best movie theater in the Twin Cities, the Riverview. Not only is it a second-run theater, so the movies are reasonably priced, but it is a classic movie house, built back in the day, and wonderfully maintained and managed. They have comfortable seats and digital projection capabilities — saw the Twins lose to the Yankees (again!) at the Riverview in one of their more recent playoff runs. Lots of fun, free admission, excellent popcorn, good crowd. If only the Twins would have won, it would have been perfect. 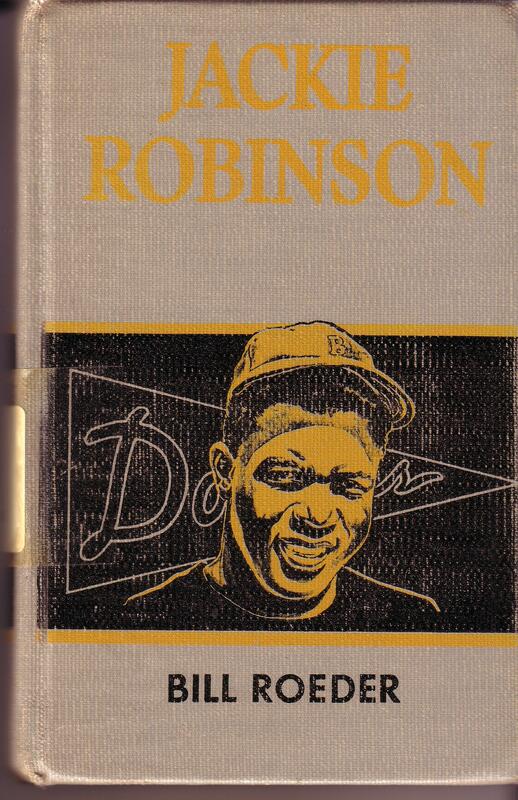 Anyway, in preparation, I will brush up on the Jackie Robinson story. Not sure where or when I picked this book up, but it’s definitely a school library classic. That’s Lou Gehrig, taking that high pitch for ball four. Today is Lou’s Birthday. Born on 19 June, 1903, and died too young, 2 June 1941, age 37. 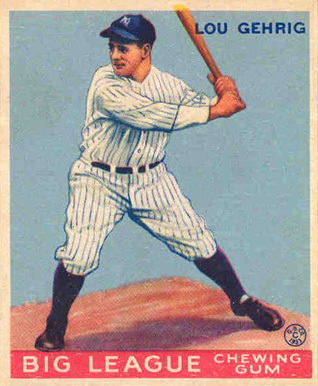 They called him “The Iron Horse” and he came to play ball. 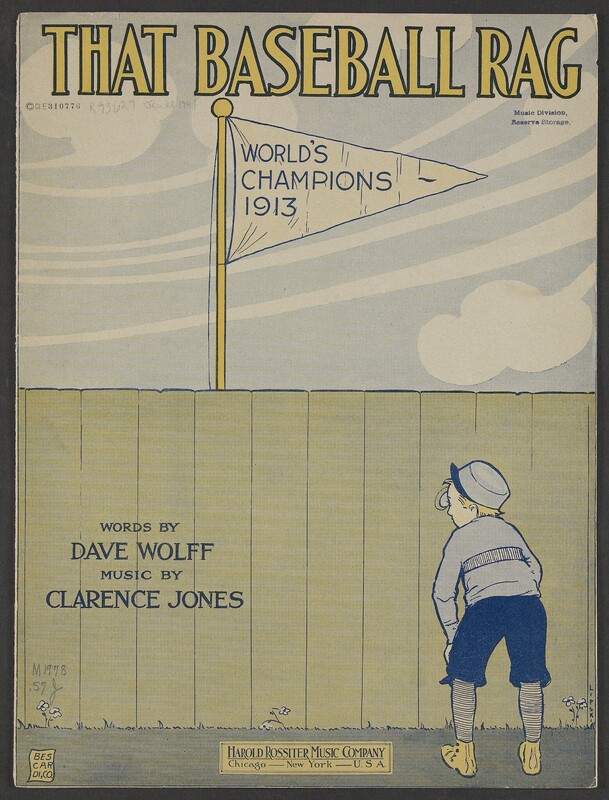 Here’s a link to the SABR Baseball Biography Project’s entry on Lou. As I was saying, there are all sorts of baseball games out there. When I was young we had a dice game that was based on crude statistics, a simplified Stratomatic. 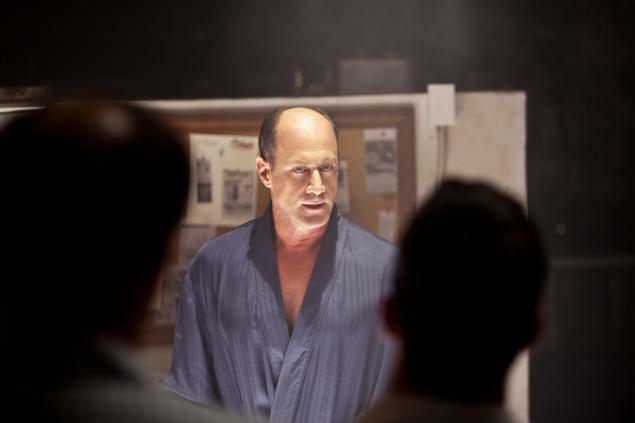 But there are endless variations — board games, played with spinners or dice, darts, and different kinds of card games. Everyone can play. The Age of Computers has ushered in a whole new way of playing the game. 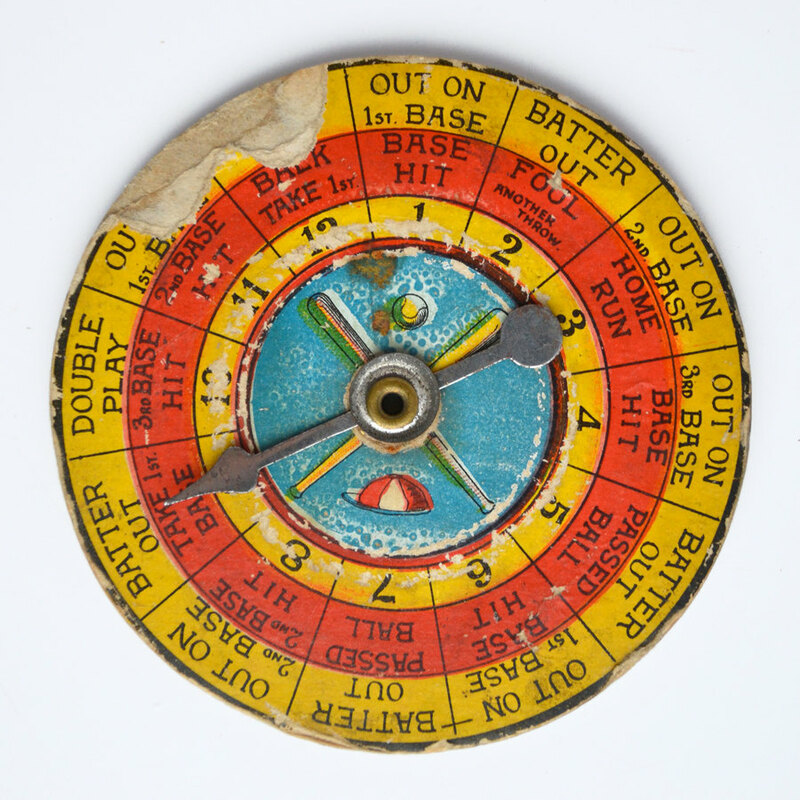 In the beginning a lot of these were mostly pretty simple arcade games, such as Hardball. But as computing power improved, so did the games. As the game players tended to fall into different camps, the games also tended to focus on different aspects of play. 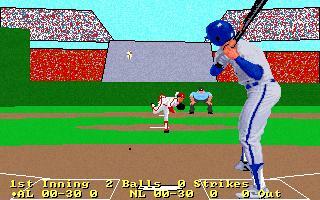 Some players liked to swing the digital bat and knock some pixels around in the arcade experience, while others are looking for true to life statistical simulations, making the game results as close to the real thing as possible. Some games tried to meet both of these audiences, making it optional to play either the arcade game of the statistical sim in one game. 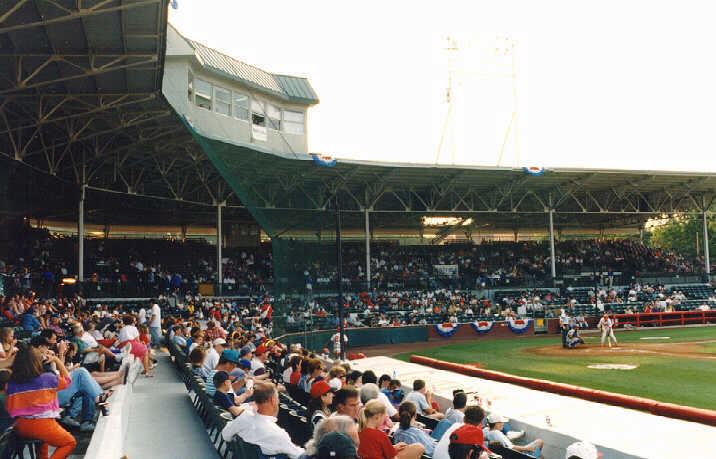 One of the better games in this area was Earl Weaver Baseball, which allowed you to operate as manager or as player, and had pretty realistic game simulation for its time, including the option to play entire seasons without having to play them game-by-game. For the most accurate simulations, though, it seems like the text-based games have always been the best. 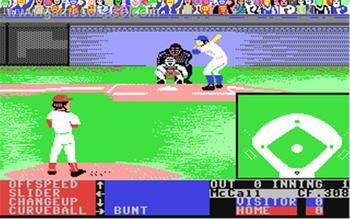 They didn’t have to spend much time or effort on developing any quasi-realistic animation of the game, focusing instead on statistical accuracy and data, while relaying the game action through scrolling text on the screen, which resembles a radio play by play. I came across a few nice options online in this area. WhatIfSports, for example, allows you to pit two historical teams against each other and generates a simulated game practically instantly. Interesting, but not very involving. Here’s a shot of a simulation I ran, the 1969 Pilots vs. the 1969 NY Mets, at Shea Stadium. Seventh game of the World Series. The game wouldn’t let me give Bouton the start, perhaps because he only started one game for them during the actual season. Sorry Jim. Here the Pilots whip the Mets, 3-2 to win the Series. Bouton pitches, but the knuckleball apparently isn’t knuckling, because he gives up singles to Grote and Shamsky, uncorks a wild pitch, and Boswell drives in the tying run with a fly ball sacrifice before Bouton gets out of the inning, with the game now knotted up 2-2. The Pilots win the game in the 9th, though, with Rollins getting an infield single to drive in Comer. Pilots 3, Mets 2. The Miracle Pilots take it all. 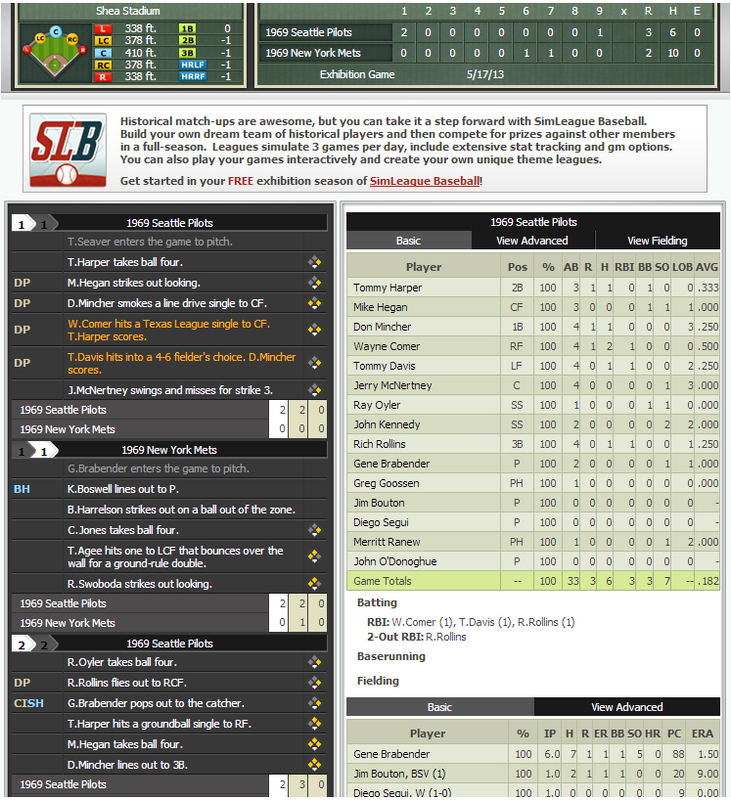 It looks like WhatIfSports offers a number of options for online play in simulated leagues. However, for this sort of fun they will charge you a small fee. 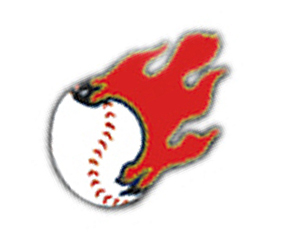 Which is how I became the proud owner/general manager/manager of the Louisiana Blaze. What could be better, I thought, for the Year of Baseball, than actually running a team and winning the World Series? Fantasy Sports Services have been gaining popularity as more consumers go to the internet to compete in these social sports games. The industry develops software, and markets an online platform for multiplayer fantasy sports. Fantasy sports are games where participants act as general managers to build teams that compete against other fantasy owners based on the statistics generated by real individual players or professional teams. The most common variation converts statistical performance into points that are compiled and totaled according to a roster selected by a manager that makes up a fantasy team. These games have been around for more than 25 years and played in tight knit social circles, but the internet really helped push the envelope for transforming Fantasy Sports Services into a full-blown industry. Over the past 10 years, fantasy sports services have experienced explosive absolute growth of 241.0%. Fantasy Sports Service firms will continue cashing in on the general move toward more mobile content, which will help bring revenue up at an annualized rate of 7.6% over the five years to 2018. 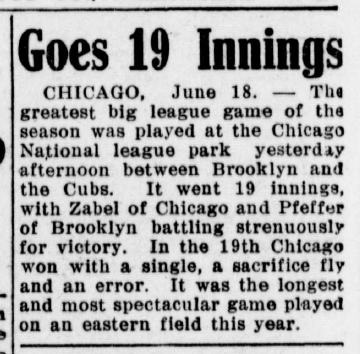 Today in Baseball History – Zip Zabel Day! 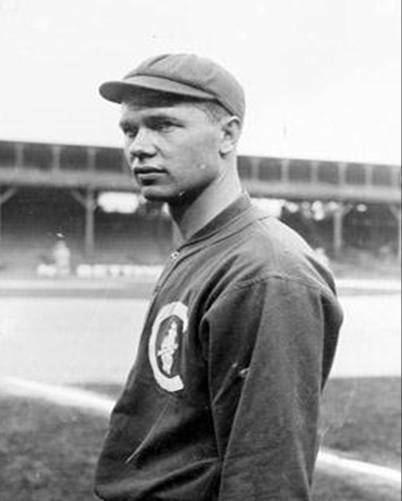 Young George “Zip” Zabel pitched only three seasons for the Cubs, 1913-1915, but, on June 17 of 1915 he came out of the pen with two outs in the first inning and then pitches the rest of the 19 inning win over the Brooklyn Robins. That’s 18 1/3 innings, the longest relief job ever. And, of course, great baseball name! Zip’s record went unnoticed at the time, though the Knights of the Keyboard did notice the lengthy game.. Okay, and here’s celebrating my 100th post of the year! With this being day 168 of 2013, I’m batting .595!